Turning 65 soon, we have Medicare Supplement and Medicare Advantage plans along with Part D plans. Remember to get both Parts A and B of Medicare. You can call the Social Security Administration at: 1 800 772-1213. In 1990, American business spent over $500 billion on employee benefits, an average of more than $4,250 per employee. It is clear that the days of "fringe benefits" are gone. Employee benefits now represent between 35% and 40% of total compensation costs. They are an integral part of the total compensation picture, a component who's spiraling cost has become a major concern for business owners and human resource managers. To merely survive today, companies will have to control the cost of employee benefits. To thrive, they will have to learn how to manage their overall compensation programs. That's where Benefit Design Management can help. 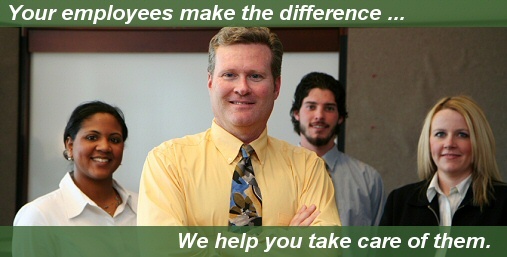 Benefit Design Management specializes in helping employers manage their employee benefit programs. We have experience in the three key areas of employee benefit management - Design, Administration and Communication. The world of employee benefits has become so complex that most businesses can no longer keep abreast of developments. Even major corporations with large human resource personnel departments now rely on the expertise of outsiders to advise them. Designing and administering these employee benefits plans has become very specialized. Today, only a handful of companies have the knowledge and experience to offer a truly comprehensive service. The principle at Benefit Design Management has specialized in this area of insurance for more than thirty years. Most importantly, we are independent. Although we have solid and long-standing relationships with many companies and we have access to the widest possible selection of insurance and financial products, we are not tied to any of them. Accordingly, we have the freedom to give you the independent and objective advice you expect.